Last edited by caixaveloz; 05-04-2011 at 10:27 PM. Are you using Core Temp/RealTemp to monitor temperatures or is it CPU temperatures? 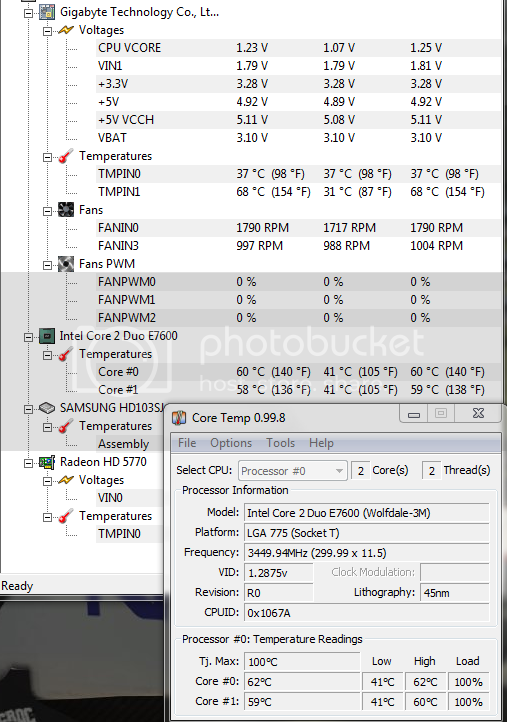 Could be that 3.45GHz is the max it can do with normal vcore, try to enable LLC(Load Line Calibration). Set VTT(CPU Termination) and CPU PLL to the default shown in BIOS. Manually set MCH Core 1.16v and DRAM Volatge 1.9v. If you can post MemSet main and SPD(click spd) window screen capture. Please fill your signature with your system settings, including a link to ram specs. - ok i will try this, but can i increase CPU Host Frequency ? Last edited by caixaveloz; 05-04-2011 at 11:18 PM. Do you have MCH/DRAM Refernce and Channel A/B Ref in BIOS? What is the BIOS version and board revision? When you find stable settings you can try 406MHz FSB for the known 3.45GHz. Last edited by Chike; 05-05-2011 at 12:57 AM. 2] can i leave CIE enable to rest cpu in idle ? 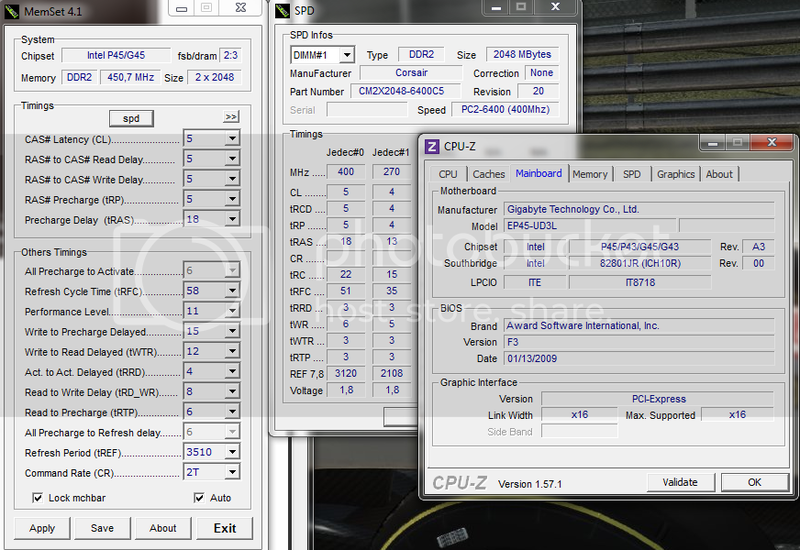 3] so the limit will be 3.45ghz ? 4] With your config at 3.4ghz, will be better than mine at 3.45ghz ? You can try and leave memory at 1.8v. 1.9v is within standard limits, and we are going to put much more stress on the memory so it may need it. 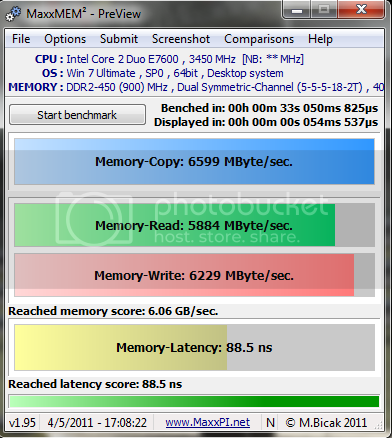 Download MaxxMEM² - PreView to compare memory performance. It is advised to OC with C1E and EIST disabled at first, then you may try to enable them, as they may cause instability with a higher minimum frequency. The limit is definately not 3.45GHz, but it may be the limit for normal vcore(which is the only way you can use C1E and EIST realy). With 400MHz memory will perform much betterm as I wrote you can try to increase to 406MHz as we know the CPU is capable to do 3.45GHz with normal vcore. I am still not clear about your temps, can you run Core Temp or RealTemp and post the temps you get there and under what load you get them. Cool, lets see what you get with 400/406MHz FSB.